» ROMELU LUKAKU REMAINING FINALLY AT CHELSEA? 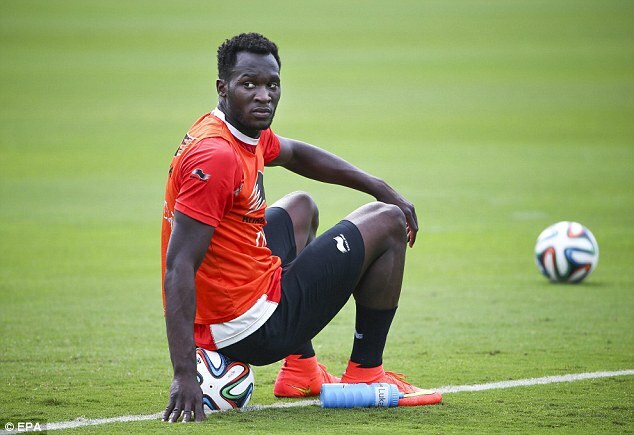 Europe ROMELU LUKAKU REMAINING FINALLY AT CHELSEA? Announced on departure for several days, Romelu Lukaku could finally stay at Chelsea. The Belgian international striker was the target number one of Massimiliano Allegri the new coach of Juventus in recent days, according to the Belgian media. But obviously Romelu Lukaku could continue his career in Blues colors. For the Red Devils striker is expected on July 30 to resume group training with Chelsea. The player would have asked for a permanent transfer to his leaders. But the latter are not prepared to discuss below an amount of € 30 million. A price too high for many sides and which may force the player to stay in London in the coming months. Liverpool, Juventus and Atletico, the name of Romelu Lukaku was quoted everywhere in Europe. If these three clubs have found their happiness elsewhere, Everton and Wolfsburg are still in the running to host the Belgian of Congolese origin. This was without counting on José Mourinho. The Portuguese would be willing to offer a new chance to Lukaku to prove his qualities and progress. “The goal is that Romelu joins us for our second week of training in the Netherlands,” said Steve Holland, assistant coach of Blues in The People. Mourinho has also announced that the transfer window of Chelsea was over. After the departure of Demba Ba and Samuel Eto’o, Diego Costa and Fernando Torres are the only strikers in the nucleus of Blues. Romelu Lukaku, who had no more than a single full season at Everton, will have the opportunity to prove he belongs to Stamford Bridge.